Cotton Lycra Fabric:- Cotton Lycra fabric is used to make shrink-free tops and shirts. The material is the blend of Lycra and cotton and makes a great choice for sturdy and wrinkle-free shirts. 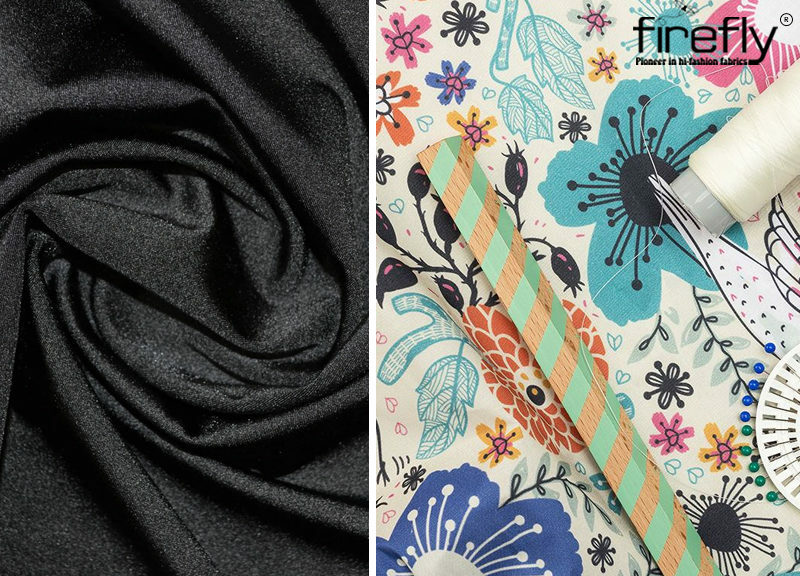 Cotton Lycra fabric is easy to maintain and wash.
Nylon Lycra Fabric:- This type of Lycra fabric is used for making consumer goods like couch covers, table covers, handbags, bags, etc. The goods that are made up of Lycra are found to last long and have a little shine. The gleaming effect makes the Lycra garments suitable for wearing in parties. Lycra outfits shine when light falls on them. The outfits are light weighted and are easy to clean. Wool Lycra Fabric:- This variety of Lycra fabric is used for coats and suits. The fabric can be stretched. The coats and suits made up of Lycra do not wrinkle or crease. This fabric can give the best fit to the wearer and can make the wearer look better. What are the Advantages of Lycra Fabric? The fabric is light weighted, breathable, and comfortable. Due to the fitting nature the fabric is often used in men’s garments. Lycra gets dried up quickly and is easy to dye. The largest varieties are found at the best prices in the shop of the Printed Fabric Wholesalers in Kolkata. The fabric has bacteria-resistant nature and blocks ultraviolet rays and this is the reason why it is used in clothing. Lycra garments include socks, exercising clothes, leggings, and swimwear as well. Social acceptance of the fabric is still implemented slowly. Original Lycra never absorbs liquids. If it is the lining of suit, the fabric traps moisture against the wearer’s skin rather than wicking out the moisture away from the skin.